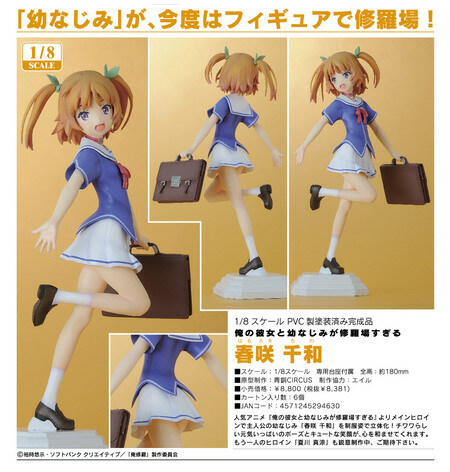 June 18th, 2013 By: GGT Category: Figure News. 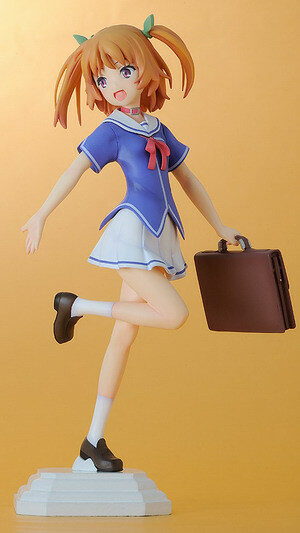 FREEing is going to release the Harusaki Chiwa ( 春咲 千和 ) 1/8 PVC figure from the light novel/manga/anime “Ore no Kanojo to Osananajimi ga Shuraba Sugiru” ( 俺の彼女と幼なじみが修羅場すぎる ). Will be released in October 2013. Around 180mm tall, 8,381 yen. 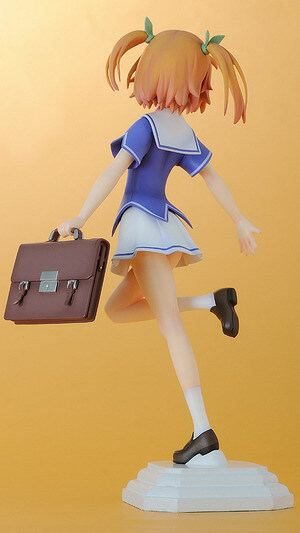 The ‘childhood friend’ is here to cause some trouble in the figure world! From the popular anime series ‘Ore no Kanojo to Osananajimi ga Shuraba Sugiru’ comes a figure of one of the main heroines and the main character’s childhood friend, Chiwa Harusaki! Chiwawa’s playful personality is captured in the figure by both her pose and her cute smile, both of which are sure to soothe the heart of any fans of the series! A figure of Masuzu Natsukawa from the same series is also currently in development – so fans can look forward to her as well!